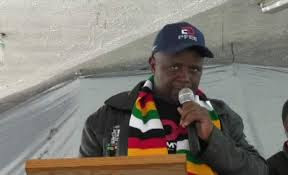 The Zanu-PF Youth League has passed a vote of no confidence in their leader, Cde Pupurai Togarepi, his deputy Cde Lewis Matutu and three other National Executive Council members on allegations of incompetence, gross misconduct and disloyalty, among other allegations. The other three are the Youth League’s national secretary for Administration Cde Tendai Chirau, the deputy national secretary for External Relations Cde Admire Mahachi and deputy national Secretary for Environment and Tourism Cde Mercy Mugomo. The matter, however, is subject for confirmation by the ruling party’s National Disciplinary Committee. Cde Godfrey Tsenengamu who is the Youth League’s national political commissar, announced the vote of no confidence at Zanu-PF Headquarters today. “The Youth League National Executive Council sitting in extraordinary session on the 6th February 2019 in Harare unanimously moved a motion of no confidence on five of its members in order to realign it with the vision of His Excellency the President and First Secretary of Zanu-PF, Cde Emmerson Mnangangwa. “The motion was necessitated by the call by President E.D Mnangagwa for the Youth League to be vibrant, proactive and to move from being lethargic,” he said. He said the Youth League had invoked Chapter 4, Article (General Provisions) Section 265 of the Party Constitution which states that: “A motion of no confidence shall be by a simple majority of at least two-thirds of all members of the appropriate organ…”. Cde Tsenengamu said there had been dereliction of duty in relation to the above, currently, before, during and after the elections. He said this was evidenced by poor visibility and participation by the Youth League in the 2018 Harmonised Elections and; failure to defend and mobilise the Youth League structures to defend the President and party during the recent MDC Alliance and ZCTU led January riots. Others are poor participation by the Youth League on social media and failure to defend the party on the regional and international stage during the current wave of Anti-Zanu-PF and Anti President Mnangagwa propaganda. Cde Tsenengamu said Cdes Togarepi and Matutu had also converted and diverted resources meant for the Youth League for personal use without the resolution of the Executive Council. “Computers were donated by Potraz but their distribution has been unaccounted for. Cde Matutu sourced for funds from Tongaat Hullet and Bikita Minerals for Youth League projects, without the mandate of the executive,” he said. In an interview, Cde Chirau confirmed the developments and said the petition had been submitted to the party leadership. He said they were yet to be served with the charge sheet.